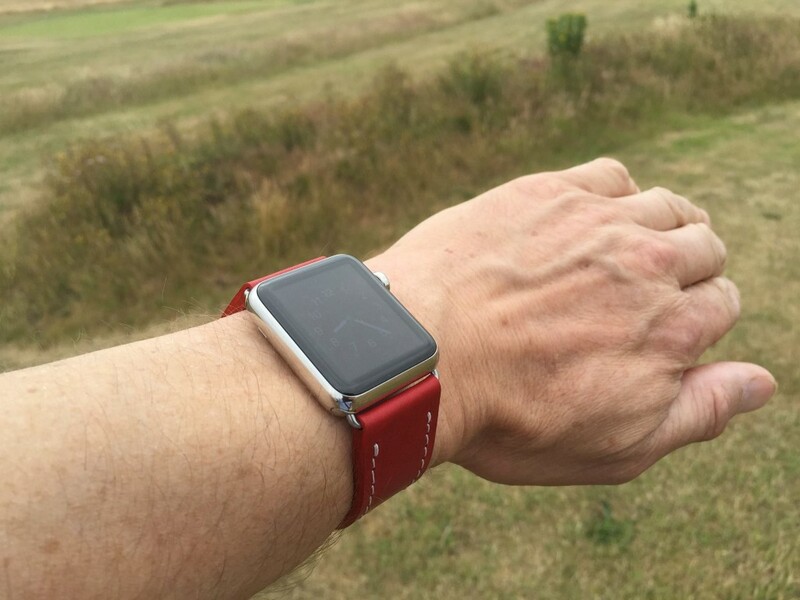 Most of the straps on the site can be made to fit your Apple watch. Below is just a small selection. I also stock adaptors. 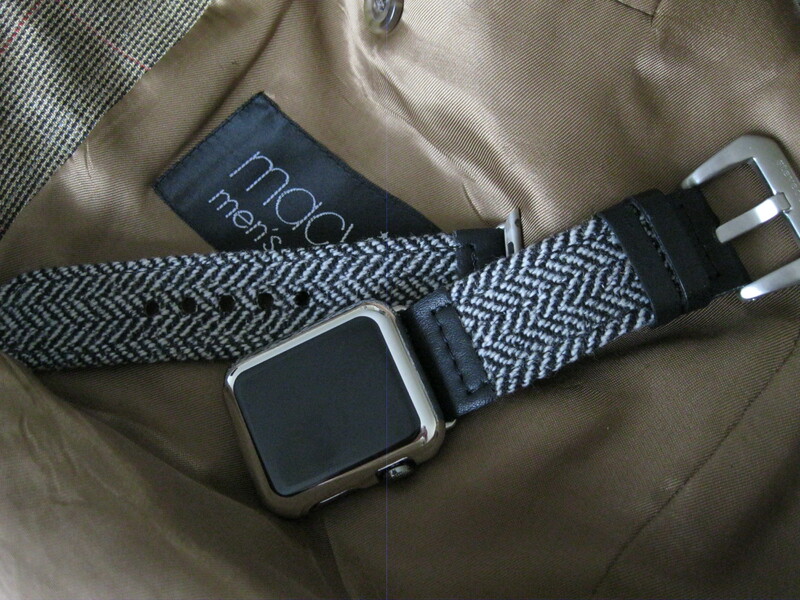 This is made from a herringbone tweed bonded to a black calf leather using a flexible polymer. 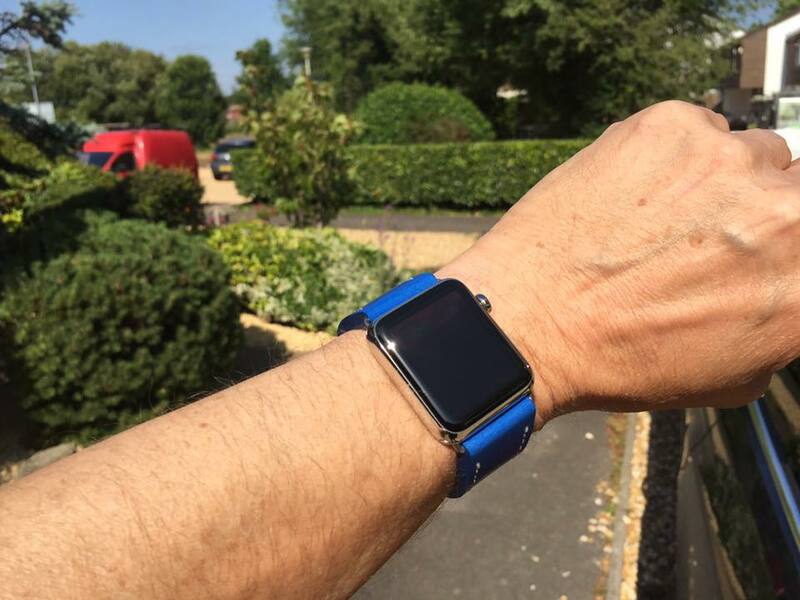 This extremely supple strap is 3.5 +mm thick and is available in all sizes. 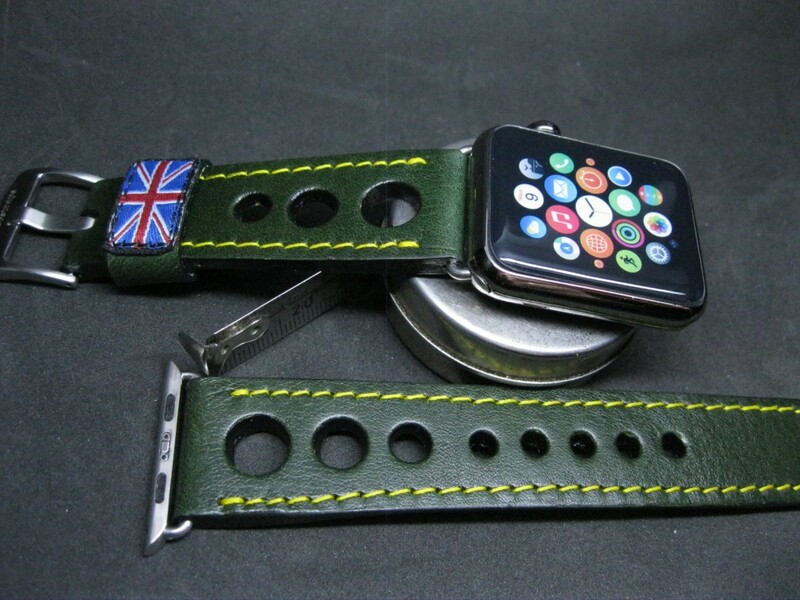 STRAP ONLY is £44.00 ($58.00 USD ) plus shipping. 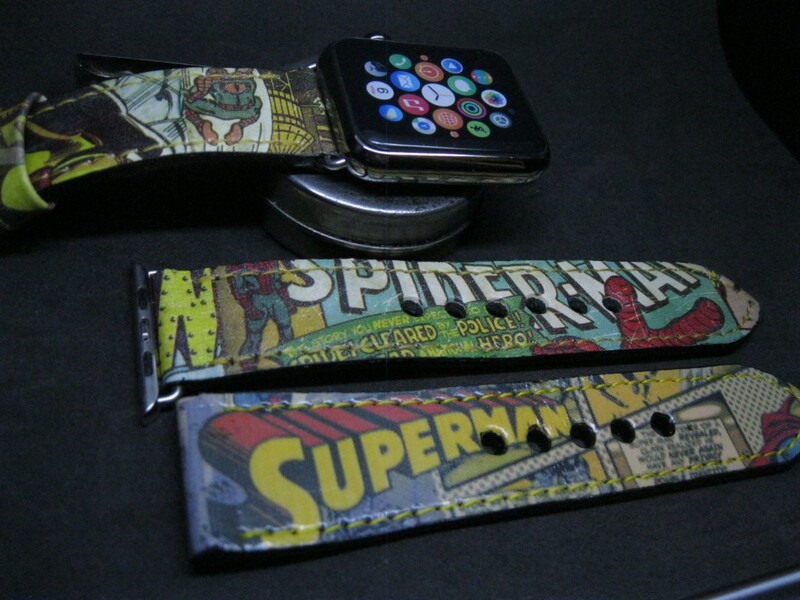 This fun cartoon strap is made from a calf leather base and polyurethane cartoon overlay. Thickness is 3.5 – 4+mm and is available in all sizes. I can currently provide, Iron Man, Captain America, Thor, and Spiderman. 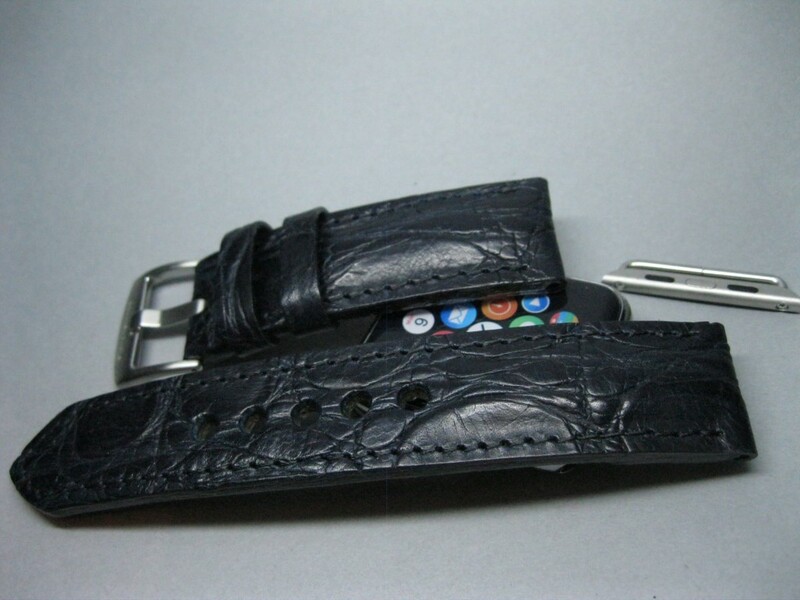 Black croc print leather with a dark bluish hue. 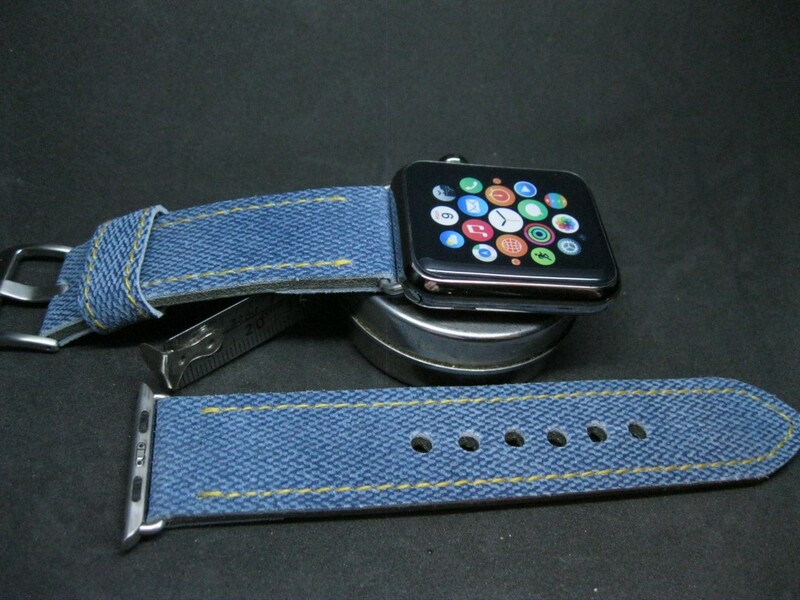 Slightly padded at 4mm down to 3mm thick. Great supple leather and all cut edges sealed black.